Summer finally comes to an end, but the heated debate over equal education for ethnic minorities carries on. Teachers and concern groups share their personal experience and views with Kahon Chan about the situation ignited by the Equal Opportunities Commission. Summer holidays finally come to an end and students return to schools. Some have big plans. Among them is Akash Limbu. His goal as he heads back to school is to speak a bit more Chinese. He hasn't done very well with the language in his first 11 years in Hong Kong. He can only manage a few basic greetings and self-introduction. "Maybe I did not work quite hard enough on it," said the 16-year-old Nepalese, attempting to explain his weak Chinese. "It's kind of hard to understand and remember those Chinese characters." Hong Kong bills itself as "Asia's World City". The word "diverse" is part of the branding - creating the image of a city that is "pluralistic and tolerant". Akash may represent part of this so-called pluralistic community, but he has not experienced much tolerance in the education system at many levels. Like a lot of Chinese fellows, he is not very well aware of the fact. Akash plans to advance his studies at a local tertiary institution. His family can't afford to pay for overseas study. To move on, Akash will require a passing grade in both English and Chinese, in the Hong Kong Diploma of Secondary Education commencing in 2012. The prerequisite is a challenge for many Chinese, let alone Akash. There is another way, the General Certificate of Secondary Education (GCSE) Chinese examination. It was introduced in May 2008 for non-Chinese speaking local students for alternative qualification for admission to universities. The institutions' recognition of GCSE's based on its low threshold on its Chinese standard is largely unenthusiastic. "The point is whether all courses in the university are lectured in Chinese? Not medicine, definitely not English Literature. Then why is it necessary to get passes in English and Chinese?" James Lung Wai-man, chairman of Southern Democratic Alliance, questioned. He has advocated equality for ethnic minorities since 2002 and recently set up a food bank for minorities because the existing food banks cannot spare resources for translators. "An ethnic Indian from Hong Kong may not be qualified for the language requirement, but why is an Indian from New Delhi admitted with exemption in Chinese? I can't imagine a local citizen would end up like that." The language barricade for higher academic achievement, as James cited, may result in ethnic minorities ending up in cross-generational poverty. Though the Education Bureau stated that there is also an increase in non-Chinese speaking students attending programs offered by Vocational Training Council (VTC) and other operators, James noted VTC only offers English courses on security and construction, suffocating the career options of minorities. Going back the basic question: how does one speak so little Chinese when the language and the people are virtually everywhere in Hong Kong? It can't be true for everyone. Akash has only a couple of Chinese classmates as he attends one of the "designated" secondary schools, where he is surrounded by other South Asian fellows and English is inevitably the sole teaching medium. There has been little pressure to learn Chinese at all. At another designated school, the Islamic Kasim Tuet Memorial College, Chinese teacher Shirley Lo described her first encounter with ethnic minorities when she was still a fresh graduate five years ago. "When I stepped into the classroom, I had no idea what was going on. I had never seen that." With help from colleagues, Shirley picked up the skills that were not part of her professional training in Chinese language education. "South Asians of secondary schools might be learning numbers, from one to five. They are there to recognize a character at a time." She said, "My mind-set had to get back to the basic." Senior Chinese teacher Edmund Chan went through an even steeper learning curve. Before the Islamic school became a designated school, more than three quarters of the admitted students were Chinese. Chan could elaborate on cultural essence beyond the textbook. Five years into the scheme, South Asians make up more than three quarters of all fresh faces showing up in September and change has to come. "I felt they needed more help. Apparently, they are not well accommodated in Hong Kong as you don't see many of them working in a lot of industries." He said, "We want them to survive here." While Chinese teachers like Chan or those in 27 other designated schools across Hong Kong are aware of the children's vulnerable future, they are not equipped with the most needed survival kit. Aside from a "supplementary guideline" supplied to the schools on Chinese language education, the Education Bureau told China Daily that "tailor-made teaching and learning materials" were provided to both teachers and students. But the teachers were only aware of piles of materials prepared by another designated school and with concern of breach of copyright laws, they are now using textbooks for GCSE Chinese exams instead. The whole idea of not having a fixed curriculum for the non-Chinese speaking students is because the government expected a low recognition for a substandard curriculum, as the bureau told a working group under the Equal Opportunities Commission (EOC) in April. But the absence of staged learning objectives and respective tools laid out by professional curriculum planners, as told by teachers from the Islamic school, leaves a lot of inconsistency. For instance, a discrepancy among primary school graduates has posed great challenges for secondary schools, so there can be little wonder that Shirley had to begin her class with numbers. James Lung felt that government officials were reluctant to make greater effort because they are only working for the international instruments effective for Hong Kong. That includes the International Convention on the Elimination of All Forms of Racial Discrimination. Executive Director of Hong Kong Unison, Fermi Wong Wai-fun, identified a misconception of equality among the policy-makers through her decade-long lobby. "From top to bottom, education officials felt they have done more than enough for the minorities because it would be unfair to Chinese citizens." She said, "One bowl of rice for everyone seems fair, but in fact some of us need two bowls to get filled. The ethnic minorities need more support to attain fair competition." When the EOC hosted a news conference in July to address all the concerns about education among ethnic minorities, friends of Fermi, familiar with the government, suggested the bureau should have responded with some trepidation. The threat of a judicial review of the Bill of Rights Ordinance, published on a local press, may have mounted more pressure. But the Education Bureau is determined to keep its answer neat and short: "The Education Bureau is re-examining our support measures with reference to the recommendations of the Report". Fermi felt that prejudice was prominent at the bureau. "(Staff are) supposed to listen to what we have to say. The politically appointed officials come down to argue with the stakeholders. He never delivers our genuine demands back to the office, where no one really owns this issue and looks into it. No one." Despite a lot of disappointment, she still plans to present another proposal to the Education Bureau in late September. "Thousands of Hong Kong kids have moved to other places like Canada and Australia and how are they treated? They were not put in designated schools but were given great resources. My proposal will follow this principle," Fermi said. It was also clarified that only a few of the 100 complaints among minority students could be presented to the Equal Opportunities Commission as formal complaints. A judicial review would be only be a desperate last resort since the ethnic minorities are deeply worried about creating upset in the mainstream society. 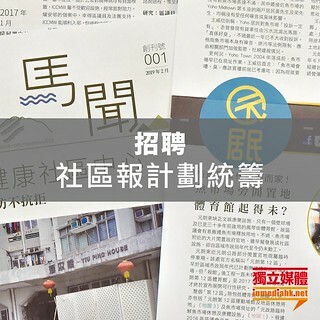 Out of the many concerns, with which Edmund Chan did not fully agree, was the allegation of racial discrimination at designated schools. Chinese parents would take much of the blame. "They don't understand us. They see more Pakistanis and Nepalese walking through the school gate, the parents and students won't get in to ask and opt us out. Without any policy change, I assume Chinese will disappear from here in ten years." He acknowledged the family background of certain South Asian students was no stimulus to their learning incentives, but he has seen outstanding students. Inadequate language support presents an obstacle to their future. "There is a blank in our education system. Hardly any effort has been made from publishers, Examination and Assessment Authority to Education Bureau." He said. "The bureau informed you about the Chinese learning support operated by the University of Hong Kong, but it would be unnecessary if there is a full plan and curriculum." As the interview wrapped up, the teacher was informed that the story will be told in about 1,500 words and he responded: "It is just too short to address this issue."